Born Milwaukee, Wisconsin, December 14, 1958; 4 children, 3 grandchildren. Graduate Menomonee Falls East High School, 1977; attended University of Wisconsin–Madison. Member: Ozaukee/Washington Land Trust; Pike Lake Sportsmans Club; MF Optimist Club; Knights of Columbus; St. Boniface Parish. Pike Lake Protection District 2000–present (secretary). Washington County Board, 2006–08. Elected to Assembly since 2008. Leadership positions: Majority Caucus Chair 2019; 2017. 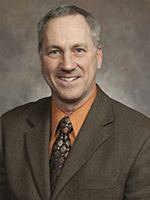 Assistant Majority Leader 2015, 2011.